Home / College Wrestling News / NCAA Division I / Who could surprise the Fab 5 Hodge contenders at NCAA qualifiers? Who could surprise the Fab 5 Hodge contenders at NCAA qualifiers? The following is an alphabetical listing of the five undefeated front-runners for the 2014 WIN Magazine/Culture House Dan Hodge Trophy, presented by ASICS, and what wrestlers could give them their biggest challenges at the upcoming NCAA qualifying/conference tournaments. The breakdown lists each wrestler’s bonus-point statistics through Feb. 23. Since Jan. 30, the former national champion and three-time All-American transfer from Wisconsin has wrestled at 184 pounds in five of his final six regular-season bouts for the Sooners. Head coach Mark Cody’s squad has struggled with injuries and needed Howe to move up a weight. 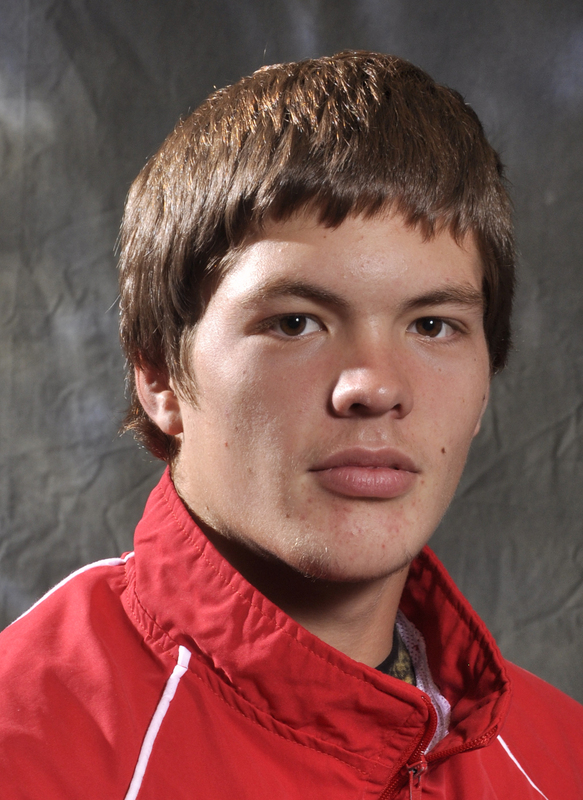 Against 174 pounders within the Big 12, Howe has faced just two wrestlers. 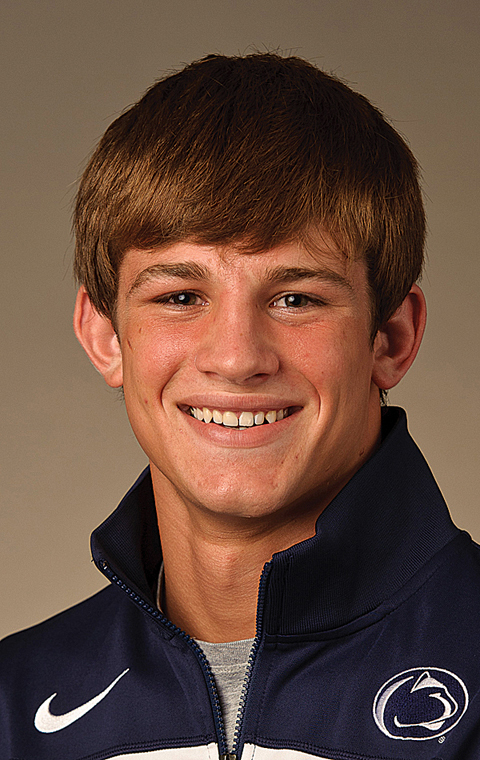 One was a 22-7 technical fall over Iowa State’s Tanner Weatherman on Jan. 12. And on Dec. 1, Howe defeated Oklahoma State’s Chris Perry — last year’s national champion —4-2. They did not face each other Feb. 9 when Howe moved up to 184 in the second Bedlam dual. 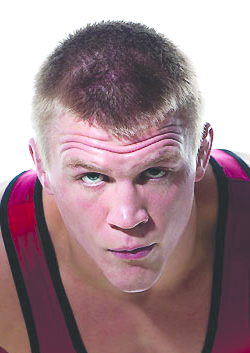 Port, who finished second to Oklahoma’s Kendric Maple in last season’s NCAA tournament, has faced five Eastern Wrestling League foes this winter, pinning three. The only two to go the distance were Lock Haven’s Dan Neff, who lost 4-1 to the Fighting Scot on Jan. 18, and Cleveland State’s Jared McKinley, who fell 8-2 on Jan. 24. This year’s EWL tournament will be held March 8 in Cleveland, Ohio. In going 9-0 against Big Ten competition, the true freshman scored one pin and three major decisions. There were four other opponents who lost by decision. To keep his undefeated season alive, Retherford will likely need to again defeat Ohio State’s two-time NCAA champion Logan Stieber, who lost 4-2 to the Nittany Lion in overtime on Dec. 15, and Minnesota’s Chris Dardanes, who was blanked 4-0 on Feb. 9. Iowa’s Josh Dziewa (Dec. 21) and Michigan’s Steve Dutton (Feb. 2) also lost by decisions, 4-2 and 7-1, respectively. The Big Tens will be held, March 8-9 in Madison, Wisc. Sheptock, who earned his first All-American honor last March before ending 2013 with a Midlands championship, is 6-0 against ACC foes this season. The Terp has scored bonus points in three matches: one by pin, one by technical fall and one by major decision. But there are three wrestlers who believe they have a shot of handing Sheptock his first loss this season at the ACC tournament, March 8, in Blacksburg, Va.: Pitt’s Max Thomusseit, who lost 4-2 on Dec. 6; Virginia Tech’s Nick Vetterlein, who fell 3-1 on Jan. 19; and Virginia’s Jon Fausey, who was edged, 3-2 by Sheptock on Jan. 31. The 2012 Hodge Trophy winner ended his home career in impressive fashion by pinning Clarion’s Michael Pavasko in 11 seconds to capture bonus-point victories in 25 of his 26 wins this season. Against his Big Ten brothers, who will meet March 8-9 in Madison, Wisc., at the Big Ten tournament, this Nittany Lion senior went 9-0 with two pins, four technical falls and three major decisions. It should be noted that Minnesota’s Dan Zilverberg did score a takedown against Taylor, Feb. 9, before the three-time All-American rolled up a 13-3 major decision against the Gopher. The ASICS Race for the Hodge Trophy Update lists the contenders for the 2014 WIN Magazine/Culture House Dan Hodge Trophy. The list is compiled from the current season’s numbers through February 9 and is based on dominance and the total number of matches. Results include action from the NWCA All-Star Classic in November. Like the Heisman Trophy, the official selection is made by the 44-person Hodge Voting Committee, which is made up of all former Hodge winners, some members of the national wrestling media, retired college coaches from different regions of the country, a representative from a number of national wrestling organizations and two votes from a composite fan vote through WIN’s website. The official announcement is made the week following the 2014 NCAA Division I Championships, which will be held in Oklahoma City, March 20-22.